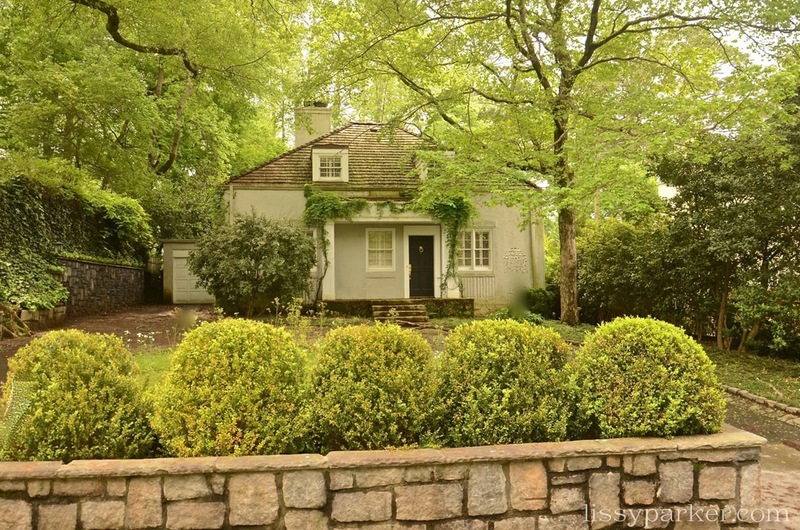 What a charming little house nestled in a neighborhood full of much larger homes! I had almost forgotten about this place. A stone planter and circle drive separate it from the street. I love the boxwood in the planters and all of the vines and green surrounding the house. Stone walls and hedge frame the property—it feels so cozy and warm. 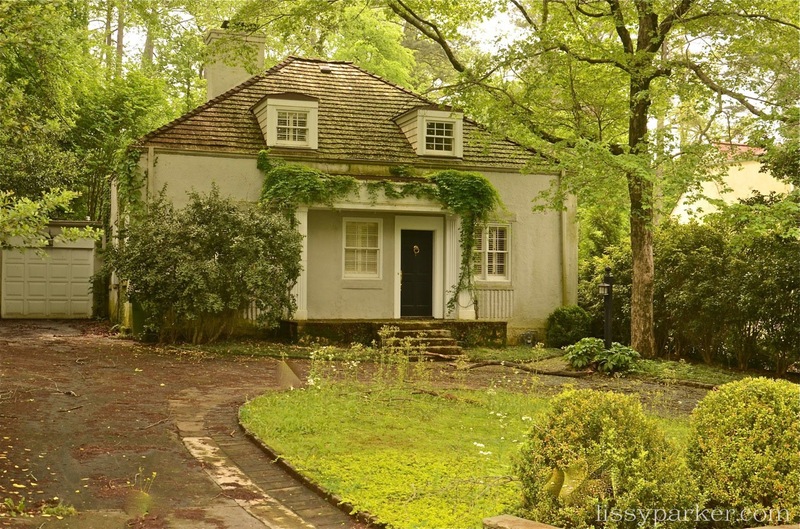 The cedar shake roof and small dormers add to the storybook setting. I like the choice of high gloss black and large circular knocker for the door. The circular pattern is repeated over and over reinforcing the soft and cozy feeling you have when you first see the house. This is another little cutie that would make a great guest house! . . .and an english greenhouse room across the back! Imagining. . .
Love this little cutie—greenhouse is a wonderful idea! How much fun to play house with this gem! Looks like a blow the dust off with one whiff and head to the garden. Lynn, I just hope they see this and do a little gardening!